There are many things to take into account when picking the perfect college. From academic rank to student life perks, sports teams and research opportunities, high school students have a checklist for narrowing down where they'll spend the next few years. Add location to the list. Even if you aren't in college, you'll still enjoy these historic, active, and downright beautiful college towns across America. Home to Cornell University and Ithaca College, half the population of this New York gem are students. There’s a lively nightlife, with offerings from local Ithaca Beer Company taking center stage, and of course the town’s also within toasting distance of the many wineries that grace the Finger Lakes region. Music lovers will adore Porchfest and the Grassroots Music Festival. If you need to clear your head after all those late nights, a hike through the scenic surrounding countryside will do the trick. With gorges, waterfalls and verdant hills to explore, you’ll soon see why people stick around. The base of CU, Boulder’s been a college town since 1876 and is where you’ll find Fiske Planetarium and the Museum of Natural History. Located in the foothills of the Rocky Mountains and just 25 miles from Denver, it’s well placed for hiking, skiing or city pursuits. Each week from spring to autumn, the Boulder Cruiser Ride sees hundreds of cyclists take to the streets on a Thursday evening. Seasonal events rule: classical music aficionados descend for the summer Colorado Music Festival; the Memorial Day Bolder Boulder attracts 50,000 runners to its road race; the annual Polar Bear Plunge brings out the crowds on New Year’s Day. Student or not, it’s all about taking part. Midway between Charleston and Savannah, you’ll find USCB, a public university with around 2000 students. This school lucked out – Beaufort is as charming as its bigger neighbors and right on the coast. 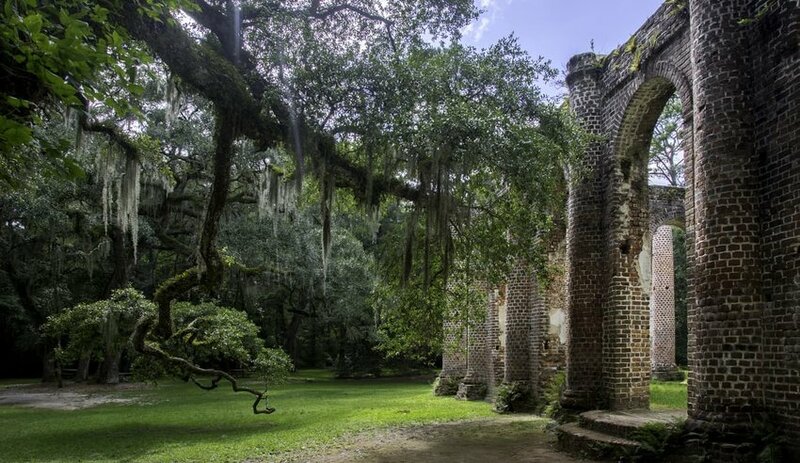 Its historic district is characterized by rows of antebellum mansions, which line narrow streets adorned by moss-draped live oak trees. Perhaps the best way to view them is by joining a walking tour. Waterfront views can be enjoyed from the Spanish Moss Trail, with fishing and horse riding also on offer. If this all sounds too chilled out, a trip to the Kazoo Museum will leave you buzzing. Cool goes old school at this private women's liberal arts college which opened in 1870, predating the town by 11 years. Located 15 miles outside Boston, there’s a reason some call this place “Swellesley”. This charming college town is chock full of historic buildings, its downtown containing a wide choice of shops, bookstores and restaurants. But Wellesley has plenty of other attractions besides. The Julia Roberts movie Mona Lisa Smile was set and filmed here, the Davis Museum has an interesting collection of art and the college campus also boasts a botanical garden. Nearby Lake Waban and Morses Pond Beach are also popular in fine weather. A big city with a small town heart, Austin is what you get when you do college towns on a Texan scale. Its weird factor sits well with those escaping Mom for the first time in the hope of finding a more independent path to follow. UT Austin is just a mile from Sixth Street with its buzzing bar scene – the perfect pairing. Vacationers will be happy to dip their toes in too: a day spent at Barton Springs’ pool, a dusk pitstop on Congress Avenue Bridge to watch the bats followed by a late night foot-tapping to the city’s legendary live music. Oh, and did I mention the food trucks? California’s quintessential college town is the epitome cool. The weather’s better than its east coast rivals, San Francisco’s on the doorstep and Silicon Valley’s tech employers have set up shop just down the road. 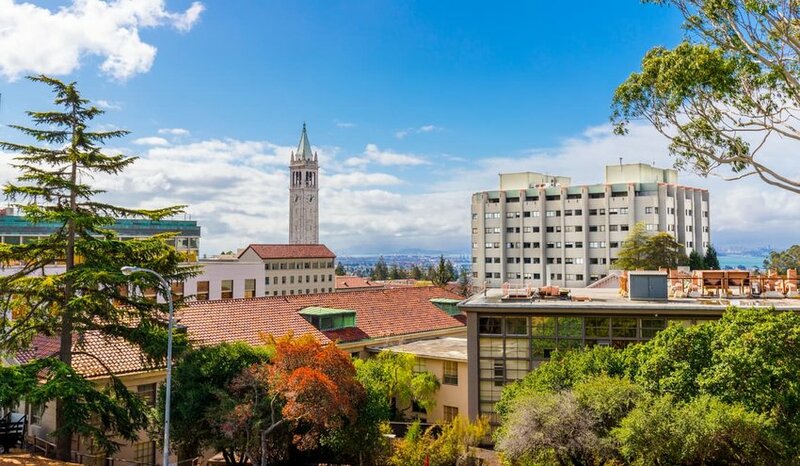 The Free Speech Movement began here; its alumni include Nobel Prize winners and leaders in their fields. Visitors will enjoy the Berkeley Art Museum and Pacific Film Archive and the Phoebe A. Hearst Museum of Anthropology. Don’t forget to check out the views from the observatory at the Lawrence Hall of Science with vistas across to San Francisco and Oakland before you leave.